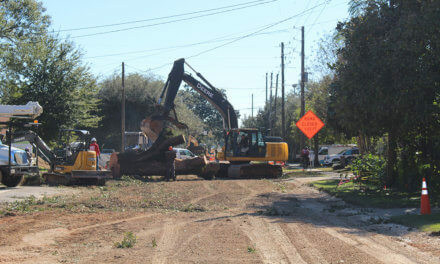 The chief of staff of Mobile Mayor Sandy Stimpson has apologized for ordering crews to cut down a tree from a city park, in anticipation of President-Elect Donald Trump’s Saturday visit. In a statement released Sunday evening, Colby Cooper said he was “overzealous” preparing for Trump’s final “Thank You Tour” stop at Ladd-Peebles Stadium when he ordered the tall cedar removed from Public Safety Memorial Park. 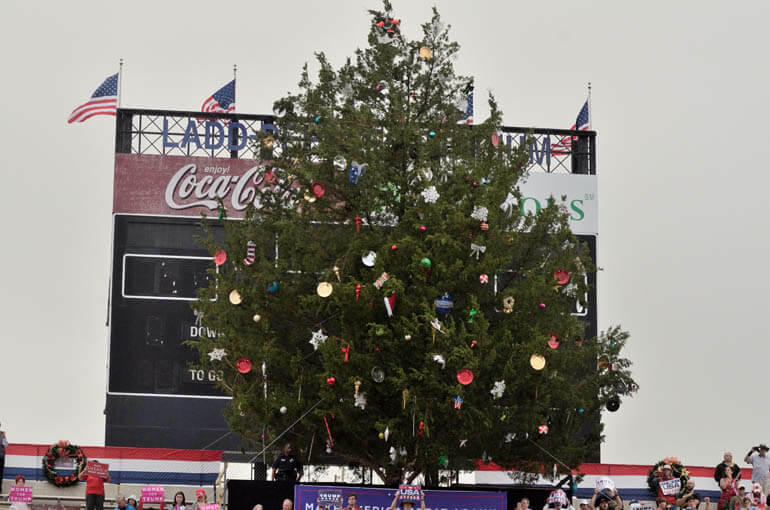 The tree was decorated with large, fake ornaments and placed near the scoreboard at the top of the stadium to go along with the Trump team’s Christmas theme. Gabriel Tynes / Lagniappe | This tree was removed from a city park to accent a political rally featuring Donald Trump Dec. 17. During an interview before Saturday’s event, Cooper said he had crews scour city parks for the right tree to help decorate the stadium for Trump’s rally. He said they found one at Public Safety Memorial Park and had it removed. He added that the city was given two days notice about the tree from Trump’s team and that it wouldn’t have been cost effective to buy one so close to Christmas. He said the tree would be reused for the public good after the event, but did not give specifics. In the statement, he said he would be more sensitive “to the spectrum of concerns regarding trees” next time.